El sábado 27 de junio en el zócalo capitalino se reunieron más de 75,000 personas para presenciar algo nunca antes visto en el mundo. Los dos pilotos de la escudería Infiniti Red Bull trajeron a sus dos pilotos estelares, Daniel Ricciardo y Carlos Sainz Jr. para calentar el interés del público por el Gran Premio de México el 1 de Noviembre. Desde las 6:00 am hubo gente sentada y parada a un lado de las vallas para tener el mejor lugar a la hora de presenciar un espectáculo cargado de adrenalina. Los motores de los monoplazas de Red Bull, utilizados en el 2011 y adaptados para las condiciones topográficas de la pista improvisada, hicieron recordar a muchos de la última vez que la Máxima Categoría del automovilismo hizo parada en territorio azteca hace 23 años. 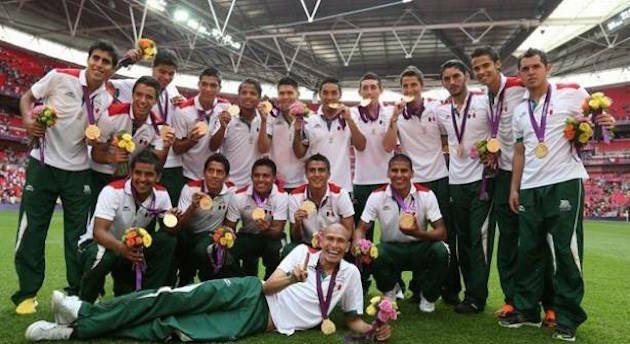 Al parecer, México es buen lugar para traer a los coches campeones del mundo. En el 2007, la escudería Renault realizó una exhibición en el Circuito de Reforma con el coche con el que Fernando Alonso ganó el campeonato mundial en el 2006. Ahora, ocho años después, el mismo monoplaza con el que Sebastian Vettel ganó en el 2011, se hizo presente en la capital mexicana. Los pilotos obviamente no llegaban a desarrollar velocidades muy altas debido a lo corto de las rectas. Lo que si podían hacer era pasar muy cerca de los aficionados sin poner en riesgo a los presentes. Aprovecharon para hacer trompos frente al Palacio Nacional, frente a Catedral y donde hubiera espacio. Lo impresionante fue verlos hacerlo con una sola mano. También hubo exhibición de otros autos de Infiniti y Renault. Este último es el proveedor del motor para los autos de la escudería Red Bull que hasta hace dos años era amo y dueño de los campeonatos tanto de pilotos como de constructores. Ahora, ese dominio le está perteneciendo a Mercedes y Red Bull no logra encontrar el ritmo que lo hizo dominador. A pesar de los problemas, Carlos Sainz pudiera llegar a ser considerado el Novato del Año en la Fórmula 1. A muchos veteranos les llama la atención la cabeza fría con la que el joven de apenas 22 años de edad se comporta dentro de las pistas. Dicho temple quedó en evidencia al verlo manejar por las calles del Zócalo su RB7. El otro piloto que estelarizó la mañana en el Zócalo Capitalino fue Tavo Vildosola. El mexicano que compite en carreras de off-road puso sus habilidades a prueba para asombrar a chicos y grandes en su Trophy Truck. Un auto con muy buen agarre pero extremadamente sensible a los cambios de dirección y superficie en el camino. 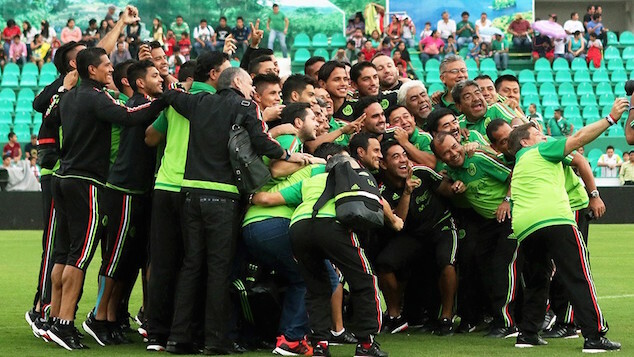 A final de cuentas todo fue una fiesta en el corazón de la Ciudad de México. Para los pilotos fue grato el ver cuanta gente se dió cita, para las autoridades fue una muestra de que México quiere un Gran Premio de Fórmula 1 y para todos una sensación de que lo que se viene a finales de octubre y principios de noviembre en el Autódromo Hermanos Rodriguez será una gran fiesta. El australiano de la sonrisa eterna, Daniel Ricciardo y el hombre sensación de la Fórmula 1 Carlos Sainz Jr. se llevaron muy buenas impresiones de nuestro país, a quienes les brindaron un espectáculo de casi tres horas. Antes de irse se pasearon por el Zócalo una última vez ondeando la bandera de México, esperando contar con su apoyo para el Gran Premio. It was on June 10, 2014 when Oscar Sports had its first article published. The World Cup was approaching and I was desperately looking for a job. I saw that blogging was becoming a pretty big deal everywhere I looked and that the World Cup in Brazil was probably a good time to get my first words in. One year ago today, a dream became a reality in both English and Spanish. 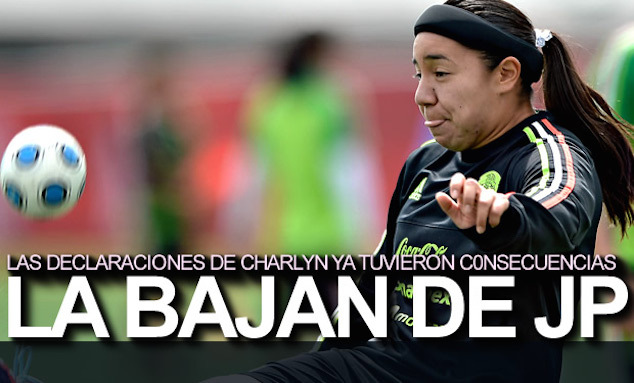 OscarSports.com was created not only to inform but also to challenge the regular media outlets that in countries like Mexico talk about soccer the whole time. They only give 10% of their time or less to other athletes in other disciplines. As someone that has lived through that, it was my way of saying, there is a lot of ground to cover and it’s not just all about soccer. Since that day, I can probably count with one or two hands the amount of posts related to soccer, while the other 60 or so have been about everything but soccer. 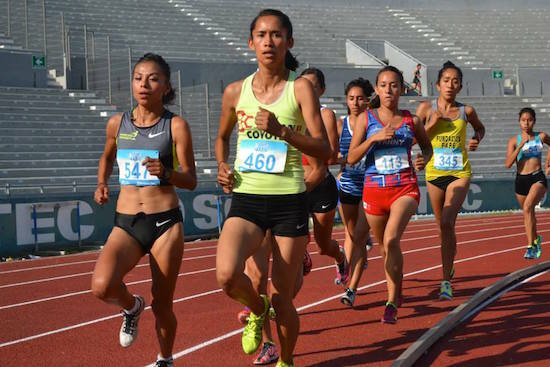 From the Mexico City Marathon to the United States Formula 1 Grand Prix, I’ve tried to cover as much ground as possible for one writer that still has other things to do. It is nice to see that people read what comes out in this site and that there hasn’t been more than three days in a full year where there is traffic in this website. So far, there have been 72 posts in this website and that number will exponentially grow next year. Take into consideration that I don’t get paid for this, just yet. This project was born after fighting against many other media companies that felt I wasn’t ready for them. I’ve always believed I am ready for wherever life takes me, and this website is going with me. I wouldn’t like doing something without a purpose. This is my way to say I’m here, hope you are interested. I’m not opposed to the idea of taking OscarSports to a FIFA World Cup. I would just focus on everything that goes around it, and not in the actual games. The amount of planning, logistics and expenses that derive from such type of events is beyond anyone’s imagination, which takes me to my next point. I’m looking to create a space for people to understand the importance of other sports. How big athletes not only go by the names of Messi and Cristiano Ronaldo. We also have Dez Bryant (it was a catch), Roger Federer, Lewis Hamilton, Lebron James, Jordan Spieth, and the list goes on and on. Heroes don’t always chase a soccer ball. The swing bats, put on tennis shoes, hit a golf ball, drive a very fast car. Some of them have a very humble background and no matter how good they get, their salaries barely ever match their greatness. I look at athletes like you and me, that may not ever make it big, but that want to enjoy what they do. In a marathon only 3% of the runners are widely known, the others are there to prove no one but themselves that they can do it. Amateur events keep growing in size and that is something you may start seeing more and more of in the future here at OscarSports. As I said, this was not only a year to test the waters. With over 4,000 viewers in the first 365 days, I am more convinced than when I started about how big this can turn out to be. I will increase my presence in national and international events. With your help, this will keep growing. Some plans even include live broadcasts from events. Short and long stories in video format about every event that OscarSports gets to be at. Formula 1 in Mexico City, I’m going for you. There will be more people that will collaborate with the content. All I ask for you is to keep coming back, so I can keep this dream alive for as long as possible. In the world of a sports reporter, this past weekend was almost as good as it gets. In less than 48 hours we had a new Champions League king, two Roland Garros champions, a Triple Crown winner, an exciting race of Formula 1, the start of the Women’s Wolrd Cup and the NBA Finals to top it all off. Ever since 1978 that a jockey and his horse did not win the Triple Crown. The wait to see someone else accomplish that feat seemed to take on forever, but it was the Mexican Victor Espinoza who made history just outside of New York City by winning the Belmont Stakes. To win the Triple Crown, you must win the Kentucky Derby, the Preakness and the Belmont Stakes. Last year, Espinoza won the first two but failed to do so at Belmont. 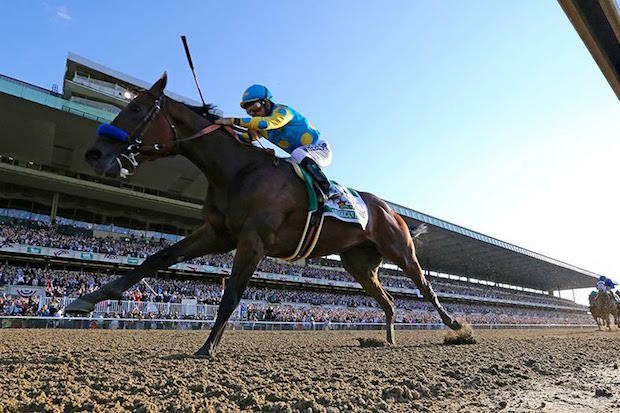 This year, despite a rough start, Espinoza lead his horse, American Pharoah to victory not just of the race but of the triple crown. We may have to wait another 37 years or more to see something similar happen again. To celebrate, he got to throw the first pitch of a MLB game at Yankee Stadium on Sunday. Saturday was a day that fans of horse-riding were waiting for almost 40 years. On the men’s side Novak Djokovic was the clear favorite to win Roland Garros for the first time. He has won every other major tournament including the Australian Open this year. He won the first set on Sunday but after that, Stanislas Wawrinka assumed every risk possible to come out with the win. The Swiss man that has already won in Australia before, became what Rafael Nadal was to Federer for many years. The man that just would not let his swiss colleague win on clay. 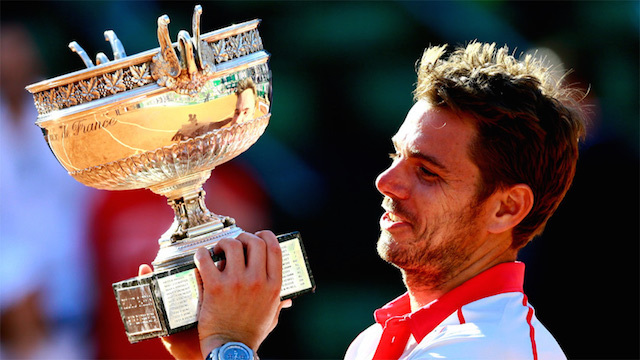 It took four sets for Wawrinka to claim the crown in France 4-6, 6-4, 6-3, 6-4. Stan the Man beat Nole in what was predicted as an easy win for the Serbian player. 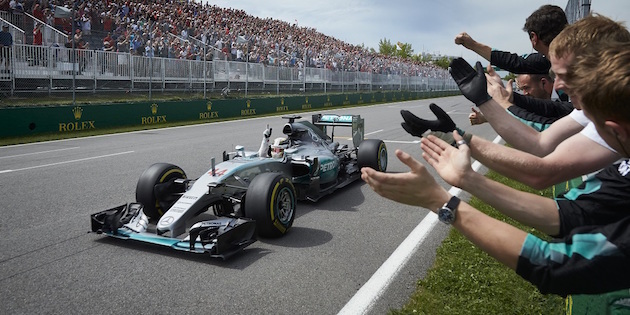 Formula 1 made a stop on one of its fastest circuits, Gilles Villenueve in Montreal, Canada. The 4.361-kilometer track allows for a lot of overtaking and no one did it better than Sebastian Vettel. He started in last place and made up some ground quickly. It was impossible to think about him getting on the points, but he made it look easy. After 70 laps, the 4-time World Champion and new driver for Ferrari finished in fifth. Lewis Hamilton won the race from start to finish and his teammate Nico Rosberg came in a close second. Valterri Bottas wrapped up a great race day for Williams, a team that had many problems over the weekend and in Monaco as well. Seein Bottas back on the podium was a nice sight for the English team. Hamilton made it look easy to win another race in Formula 1 after the Monaco incident. The National Basketball Association is wrapping up its 2015 season with Cleveland Cavaliers taking on the Golden State Warriors. The latter one had won the first game of the series that is decided by winning four games. 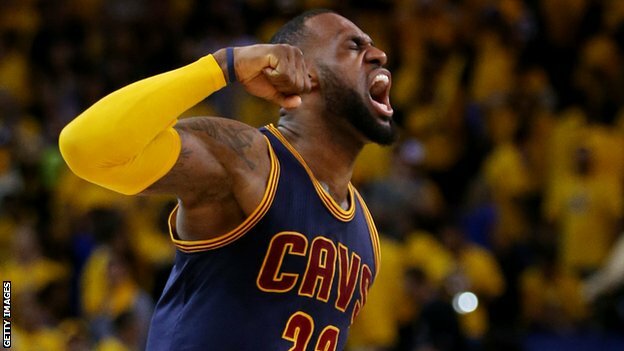 Game 2 on Sunday was another thriller that proved just how good Lebron James can be and that there is no clear favorite in this series. With Kyrie Irving out for the rest of the series with an injury, all the weight of the Cavs hopes lie on the former Miami Heat star. He has averaged41.5 points, 12 rebounds, and 8.5 assists and that has the series tied at one win per team. Now they will travel to Cavs territory for game three and the odds are in nobody’s favor. Stephen Curry is the MVP and the leader of the Warriors. 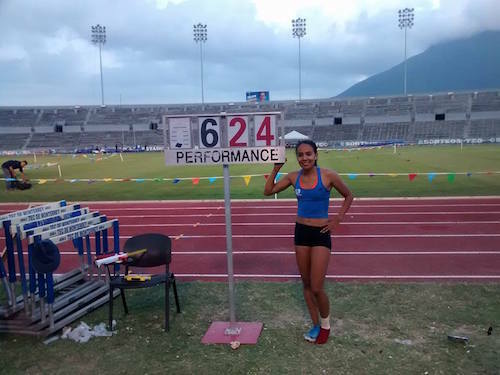 It has been an interesting week and not for the right reasons in Track and Field. 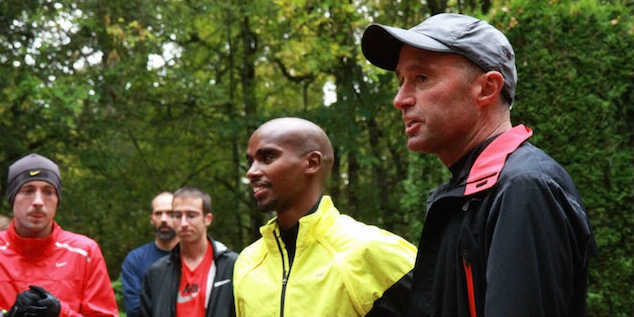 Alberto Salazar, one of the world’s best coaches is under investigation for a case in which he allegedly gave steroids and illegal substances to some of his athletes. 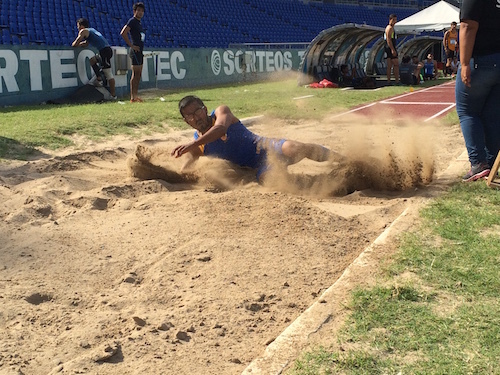 Mo Farrah, who is one of them, was expected to participate in the Diamond League competition in Birmingham but the outside distractions got the best of him and he decided to withdraw. Bernard Lagat set a Masters Mile record of 3:41, just as Adam Gemili broke the 10-second barrier in the 100 meters, becoming the sixth British man to do so. A few days earlier in the Golden Gala in Rome, Ruth Veitia Vila became the oldest woman to clear two meters in the high jump. Farah and Alberto will meet to discuss the allegations and if they should continue working together. The Chicago Blackhawks have made it a tradition lately to make it all the way to the last series of the tournament. After two games they are tied 1-1 with Tampa Bay Lightning. Game three could give us a good hint of who can take it all. 80% of the time, the team that wins Game 3 after the series is tied, ends up winning the other two games it needs. Something that may go against them, is the fact that it is Tampa who carries a stronger momentum into the third game of the finals after winning the second game by 4-3. 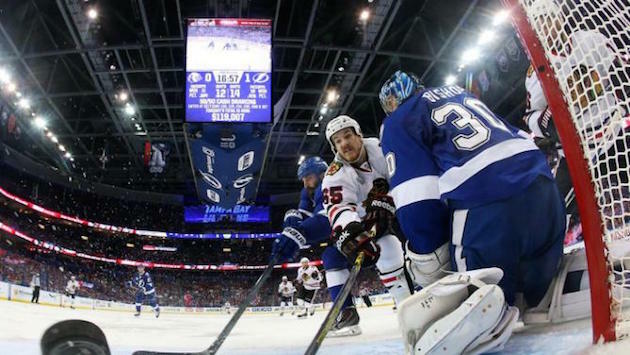 Tampa Bay and Chicago are keeping hockey fan on the edge of their seats. A new champion was to be crowned in Berlin after Real Madrid failed to reach the final. 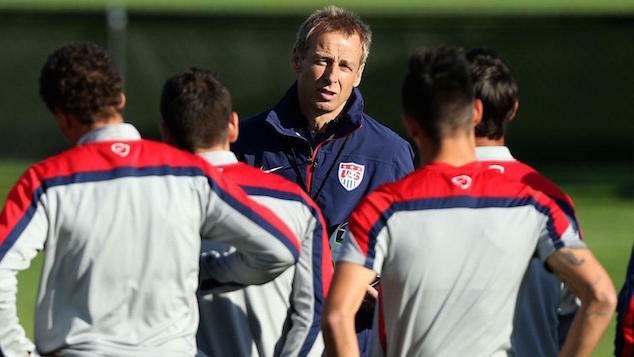 A lot of speculation surrounded soccer’s most important game at the club level. One team has been the most dominant club in the last decade, and the other was a big surprise to many despite its dominance in Italy. Lionel Messi was poised to become the first player to score in three UCL finals, but destiny had better plans for Neymar Jr. The Brazilian won his first Champions League title after scoring a brace El Pistolero Luis Suarez scored the other goal in a 3-1 victory where Alvaro Morata temporarily tied the game. Xavi Hernandez now leaves the club with 25 titles and four Champions League titles. Barcelona became the first European team to win the treble twice. At 35, Andrea Pirlo might have played his last game for Juventus and probably his last match with an Italian team. 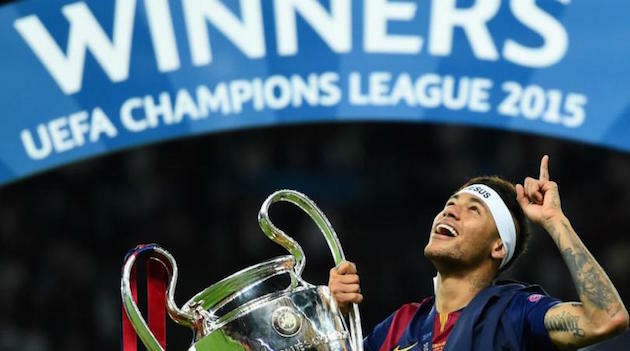 Neymar won his first Champions League title after his second season with Barcelona. Last year, the summer belonged to the men’s World Cup in Brazil. This year, it belongs to those who will be in Canada for the 2015 FIFA Women’s World Cup. The tournament kicked-off in Edmonton with a game between Canada and China. The host nation was about to settle for a scoreless draw when a penalty in their favor gave them the chance to get their first three points of the competition. On Sunday, Germany (ranked #1) beat Ivory Coast by 10-0 and no player scored twice. Now, the United States will make their debut against Australia, aiming to reach the final and win the tournament for the first time in 16 years. 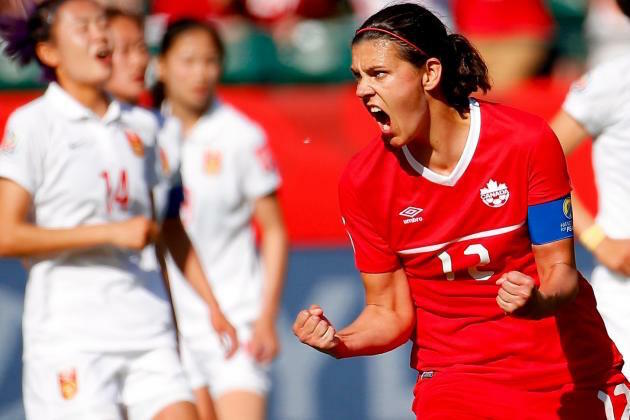 Christine Sinclair scored the late goal in the opening game of the Women’s World Cup.